A healthy diet can do wonders for many aspects of your well-being. Complementing your diet with supplements including vitamins can prevent colds and build strong bones. But many supplements can also help alleviate your joint pain. Before you start taking any supplement, speak with your doctor to ensure that you are taking the right dosage and it doesn’t interfere with any over-the-counter or prescription medication you currently use. Plus, too much of a good thing may be toxic to your system. Like with any medication, take supplements only as prescribed or directed. Here are some key supplements you may want to consider adding to your health regimen to relieve joint pain. Vitamin C is known to ward off winter colds, but it is also a powerful antioxidant that fights against inflammation by serving as a cofactor in the synthesis of collagen, the primary protein in both joint tissue and bone. Vitamin C also fights infections that can result in joint inflammation and is highly recommended for those with compromised immune systems – especially those suffering from rheumatoid arthritis, which can wreak havoc on joints. Sometimes when you are deficient in a certain vitamin, your body lets you know. Such is the case with vitamin D. When you aren’t getting enough, you may get pain in your joints. Vitamin D’s anti-inflammatory properties help relieve joint pain. Vitamin D also can help manage autoimmune conditions that affect the joints, including multiple sclerosis, rheumatoid arthritis, and Type 1 diabetes. A body deficient in vitamin D causes bones to lose strength and soften – a condition known as osteomalacia in adults, and rickets in children. The deficiency may also contribute to conditions such as RA, osteoporosis, and fractures. What do a kale salad, a glass of cold milk, and a salmon steak have in common? Besides being delicious and great for you, each contains calcium, a nutrient essential for preventing osteoporosis and building joint strength. As a natural anti-inflammatory, calcium reduces the risk of rheumatoid arthritis and keeps bones strong and healthy. Instead of wearing copper-infused clothes to keep your body healthy, consider consuming it. No need to worry about munching on a penny though, because you can get copper from organ meats, potatoes, legumes, and dark, leafy greens. Copper’s anti-inflammatory properties are well known and can help counteract joint pain caused by inflammation. As an added benefit, copper has been shown to reduce both heart disease and Alzheimer’s. A handful of almonds, peanuts, and cashews – or a peanut butter sandwich on whole wheat bread – are more than just hearty snacks. They also may help strengthen your bones, maintain nerve and muscle function, and keep your joint cartilage strong. That’s because these and other easy-to-find foods, including potatoes and spinach, contain magnesium, which is known to ease arthritis as well as joint pain and inflammation. Found in leafy green veggies, whole grains, and fruit, folate – also known as folic acid – is a B vitamin that promotes healthy cell growth, relieves joint pain and inflammation, and prevents changes in your DNA that could lead to cancer. ASU is effective at overcoming joint pain. Some patients taking ASU found that it helped lower their dosages of traditional anti-inflammatories. When beloved pets start to experience joint pain or hip dysplasia, some pet owners give them glucosamine and chondroitin. What’s good enough for Fido is actually great for your joints as well. That’s because glucosamine and/or chondroitin can slow down and even ward off the progression of joint damage. Known for its many healing qualities, this golden spice helps reduce inflammation when taken regularly. Some doctors prescribe turmeric capsules for joint pain, arthritis, and diabetic nerve pain. That’s because turmeric blocks inflammatory cytokines and enzymes, including cyclooxygenase-2 (COX-2), which is the target of drug celecoxib. 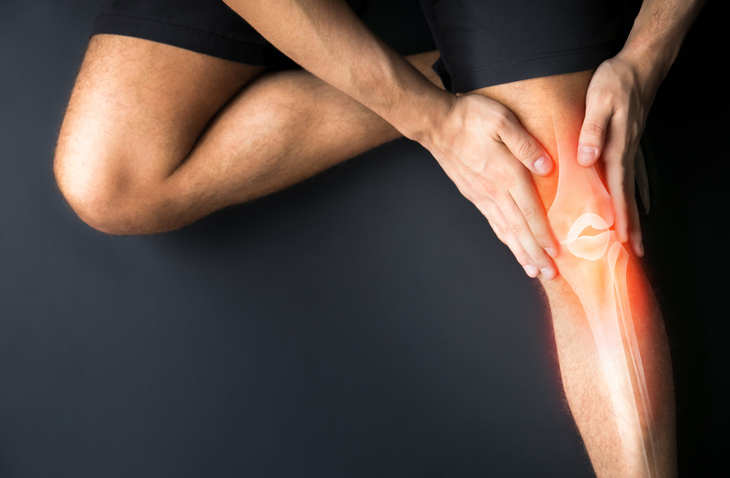 If you are suffering from joint pain, the highly skilled and board-certified physicians at Spectrum Orthopaedics will work with you to develop a treatment plan that may include supplements, pain management, and other orthopedic and rehabilitation services. Call the friendly staff at our North Canton office at (330) 305-0838 or toll-free at (844) 469-2663 to schedule your appointment, or use our online appointment request form. We look forward to serving you with comprehensive and compassionate orthopedic care.